The event officially begins Friday, from 7PM - 11PM at the Stowe Events Field. 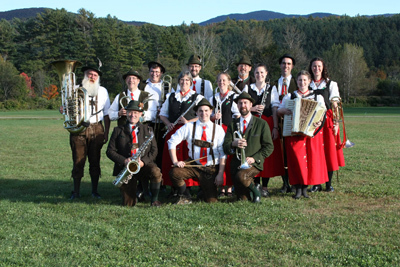 This year The Sugardaddies, a homegrown Stowe Vermont band will, kick off the Oktoberfest with a rollicking rock'n roll concert. Beer, wine and Wursts available for purchase. The Grand Parade begins on Saturday, October 3 at 10:00 AM. This year the parade will start in the village of Stowe and wind its way up the Mountain road and ending in the events field, where the celebrations will begin.